Regain weight after your bariatric surgery? Why do people regain the weight that they lost after bariatric surgery? Is there a special diet for people after bariatric surgery? The most common reason for weight regain is reverting back to old eating habits after a period of dieting. 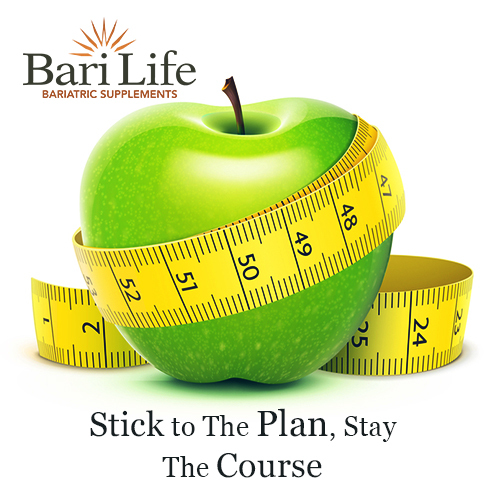 The greatest challenge in weight management is making diet changes that are sustainable for the rest of our lives. This is true for non-surgical patients and bariatric surgical patients. The decision to have bariatric surgery is a life-changing one. After surgery, there are many adjustments that have to be made to support your health and success long term. Some of these adjustments will be nutritional, such as smaller portions, more vegetables, more protein, less sugar, etc. All of these adjustments will become a routine part of life and you’re body is going to thank you for it. Weight-loss surgery acts as a tool to help you lose weight, but it is not the only requirement for attaining and maintaining weight loss and a healthier you. It’s very important to understand that weight-loss surgery does not do exercising for you, nor does it fix bad eating/health habits. The habits you struggle with before surgery will not suddenly go away after surgery. That is why is it very important to follow the guidelines given by your doctor. Your dietitians and doctors will be sure to include additional vitamin and mineral supplements along with healthy foods fortified in vitamins and minerals as well as protein to ensure that your nutritional values are fulfilled to protect you from developing vitamin deficiencies. This blog series will cover some of the basic recommendations by procedure. However, if you have had or are considering bariatric surgery, it is important that you follow the specific recommendations given to you by your program doctor or dietitian.